But lately I’ve been a horrible planner when it comes to these things. Life is busy. I’ve got two cookbook projects on my desk. I own a business in addition to my food writing. I enjoy spending time with my people. It’s the Summer of Music Festivals and I’m traveling. Or I’m making a playlist of my favorite bands who will be at the next music festival instead of meal planning and getting an appetizer ready to take to the neighbor’s shindig. 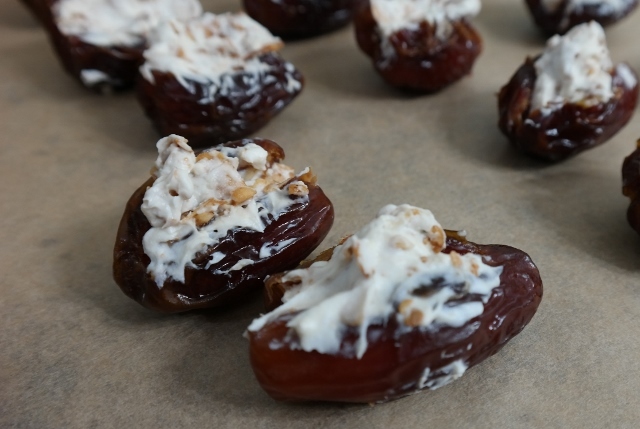 Well, here is the solution: Bacon Cream Cheese Stuffed Dates. Three ingredients, 15 minutes. Boom. I’m sharing the recipe so you can make it for most diets. 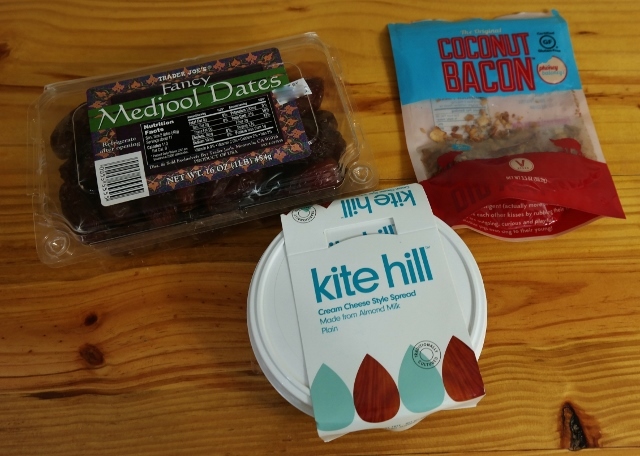 I make it vegan with Kite Hill’s new cream cheese and Phoney Baloney’s coconut bacon. You can use regular cream cheese if dairy isn’t an issue. If you prefer your bacon to have some oink in it, use regular fried bacon crumbles. This recipe is for everyone to use in a way that works for them. Ok? One dinner table, everyone has a seat. 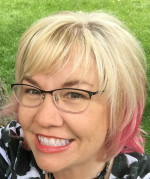 Do what makes you feel awesome and can be shared with your guests. Alrighty, here’s the recipe. Have at it, friends. And feel free to bring a big platter of these over the next time you drop by. To pit dates, cut a small slit lengthwise and gently remove the pit. This will leave a cavity for stuffing. In a small bowl, stir together the cream cheese and bacon. 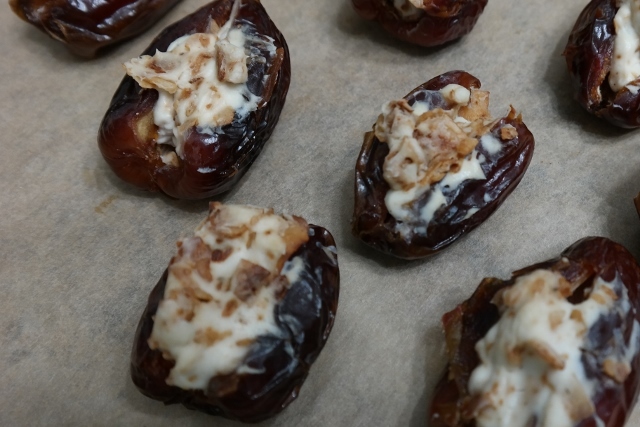 Insert a small spoonful of the mixture into each date. Bake at 400 degrees for about 8 minutes, until mixture is hot throughout. You'll notice it's a little bubbly. What a fun recipe! I’ve been curious about Kite Hill, but haven’t tried it yet. Is it cultured? I love the idea of vegan bacon cream cheese! Thanks for sharing, Johnna! Plus, it’s super quick and easy to make.